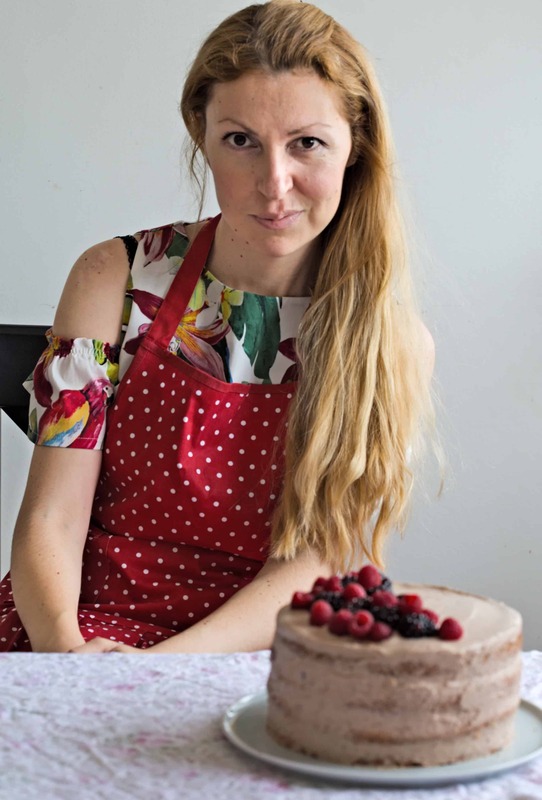 Creating beautiful cake decoration should not be always hard. 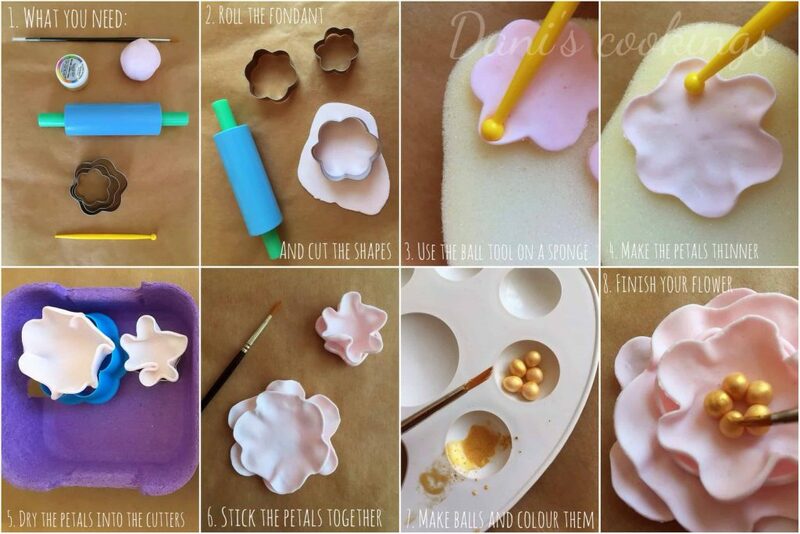 In this simple tutorial I will show you how to make easy fondant flowers with tools and materials you might already have. 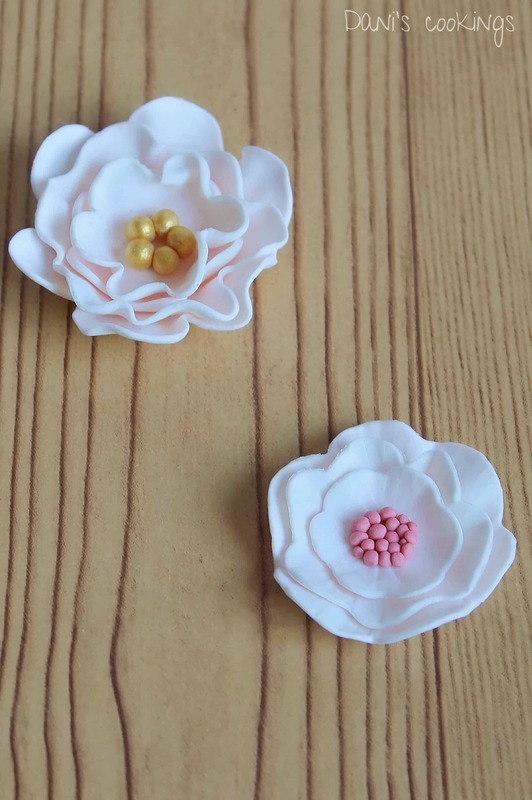 Some time ago I promised that I will publish a tutorial how to make easy fondant flowers for cake decorations. 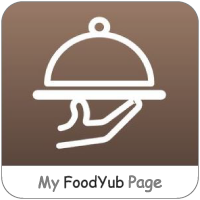 Eventually I managed to prepare it and I am very happy to share it with you today. 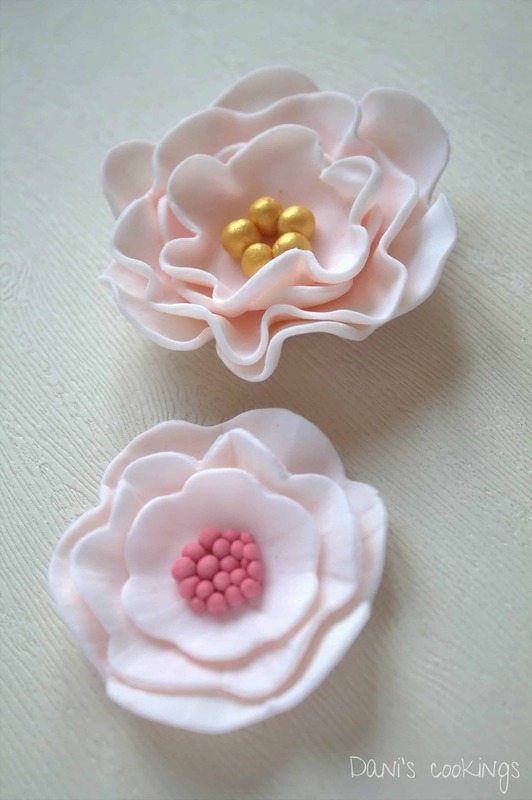 In fact I created two tutorials for two different flowers made in a very similar way! You might remember one of them from my Golden Caramel Cake. Each tutorial has 8 steps, shown in the pictures (I didn’t select this number in purpose but it’s my favourite :)). 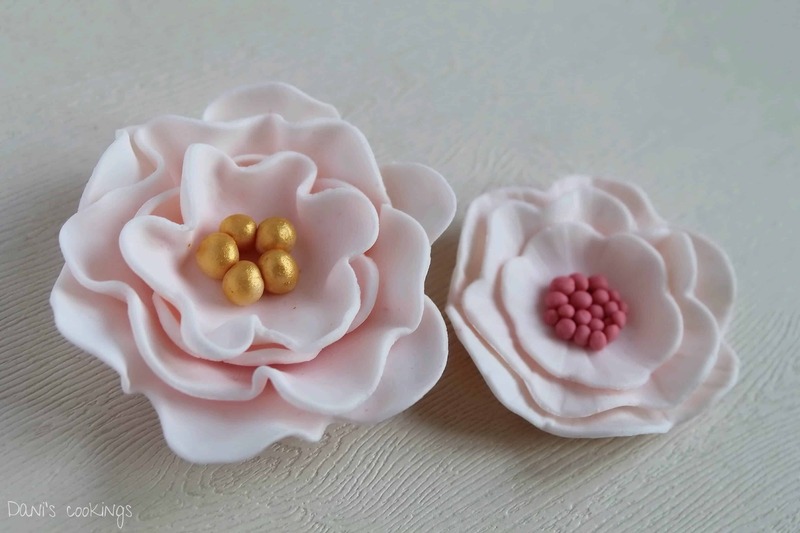 For both flowers you need different sizes of cookie cutters and two simple cake decorating tools. – in addition (I missed it in the picture, sorry) you need a foam board or just a normal sponge. 4. Make them thin enough to become ruffled but don’t overdo to avoid breaking them. 5. 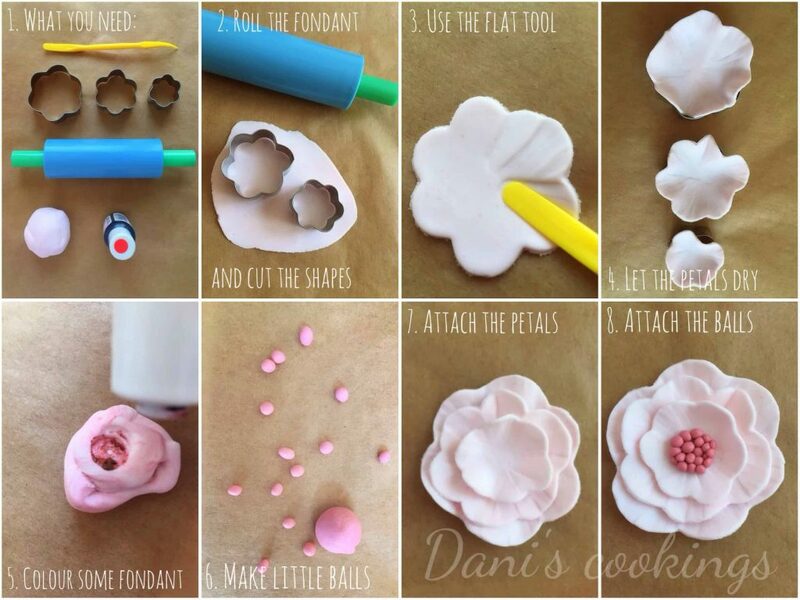 Let the petals dry in the cookie shapes so that the centre is on a lower position than the sides. 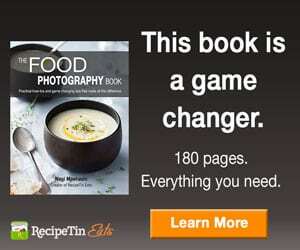 Depending on the type of fondant or gum paste the drying time will be different. But do not dry them until the fondant becomes hard: they just need to to hold shape without being flat. 6. Stick together the petals. 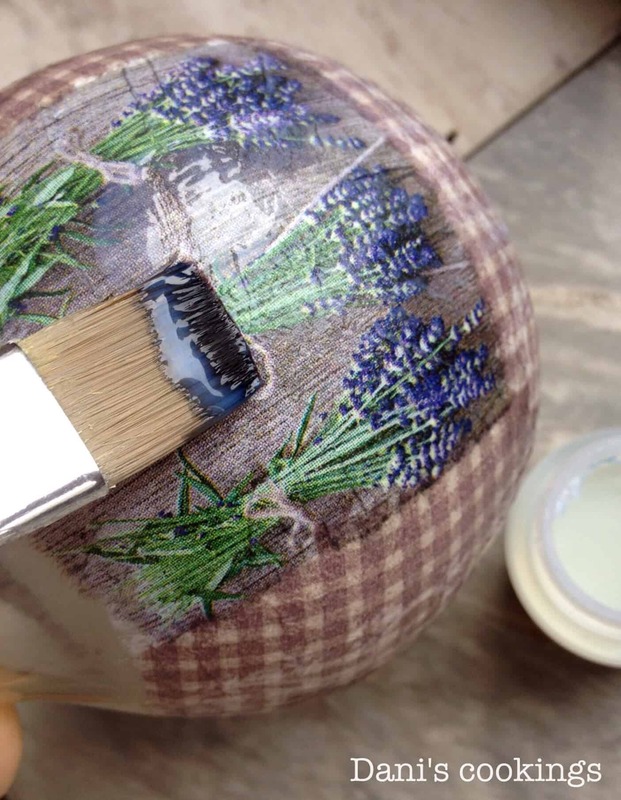 Use a painting brush slightly moistened in water. 7. 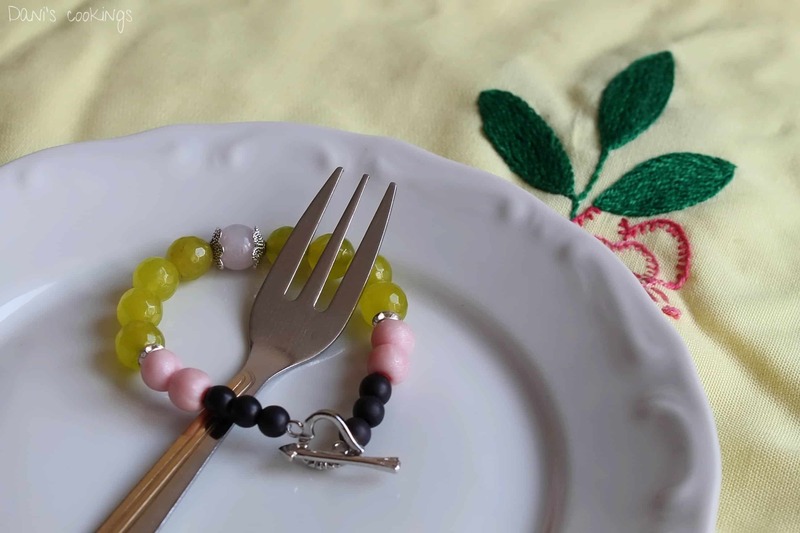 Make little balls from the fondant and colour them with the golden dust dissolved in water or in alcohol. 8. Place the balls in the middle of the flower. Use water to stick them if needed. Use more golden dust if desired. – a flat plastic flower shaper tool. 4. Let the petals dry into the cookie cutters. Don’t let them become hard, just need to hold shape without getting flat. 5. Colour some of the leftover fondant with the gel colouring. You should get a dark pink shade. 8. Arrange the balls in the centre of the flower. Moisture with water to stick them if needed. 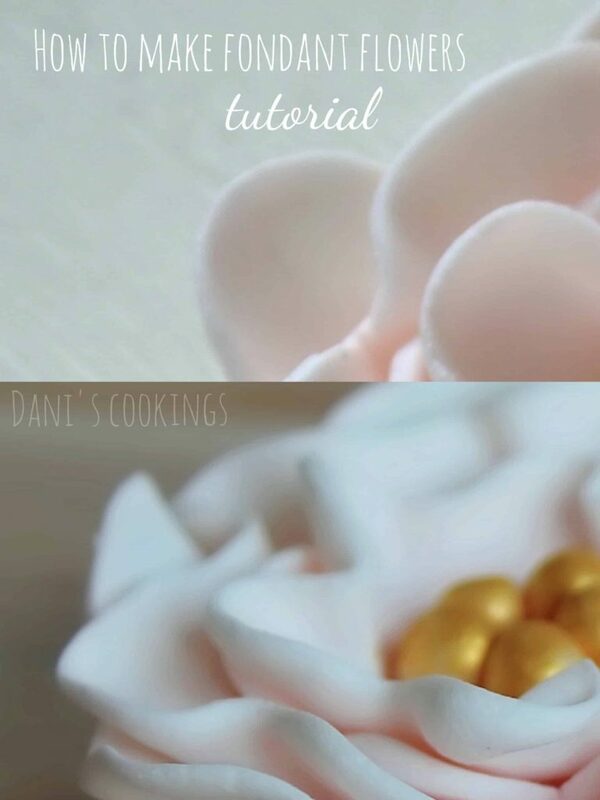 As you can see impressive fondant decoration can be made in a few simple steps and without complicated tools and techniques. 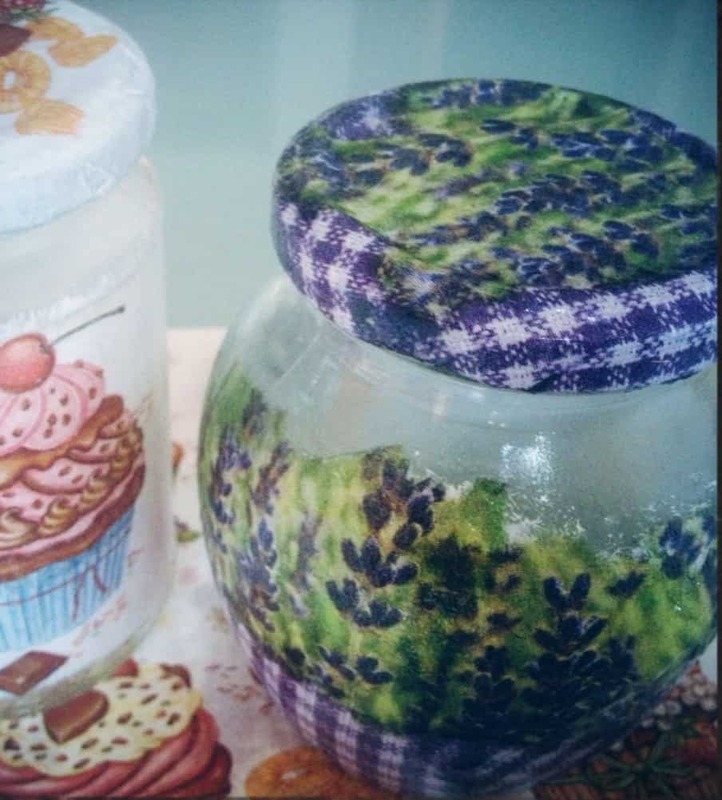 Hopefully my tutorials have inspired you to make other kinds of imaginary flowers for your cakes.